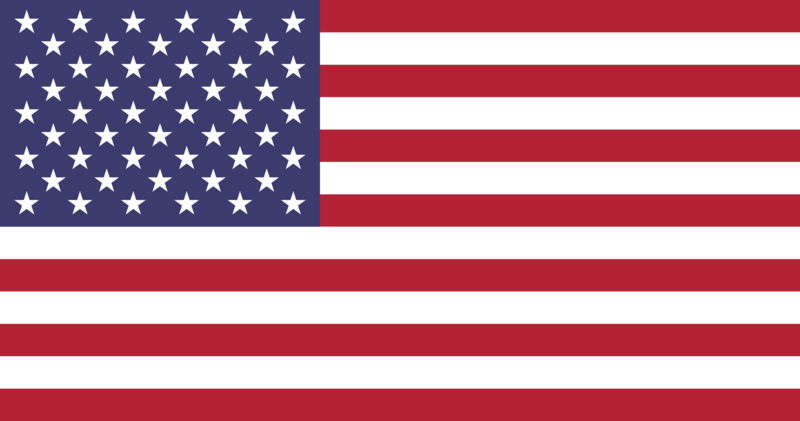 The flag of the United States was mentioned for the first time in 1777. Its author was probably Congressman Francis Hopkinson, who took an inspiration from the flag of Sons of Liberty - a group of activists protesting against the introduction of English customs in the American colonies. The thirteen stripes should symbolize the first colonies involved in these fights, originally together with thirteen stars arranged in the circle. The current form of the flag, which was adopted in 1912, kept thirteen stripes indicating the first member states. However, the number of stars increased with accession of new members from 13 to 50. The last star was added in 1960, when Hawaii officially became a part of the US.